Vacation scrapbooking offers a unique creative challenge, primarily due to the volume of photos taken on a trip. The transition to digital, and then mobile, photography has only accelerated the pace of amateur pic-snapping. In this post I’m sharing a set of guideposts for planning (and successfully finishing) a vacation scrapbook along with a range of options to help you personalize your vacation scrapbooking plan. Plus, I’m including a few tips and suggestions on staying creative away from home, including whether you should bring your supplies along for the ride. 1. Cherry-pick Your Photos – You can’t scrapbook every photo. Choose images from multiple scales, from small details to the broader landscape, that add context to the relationships represented. 2. 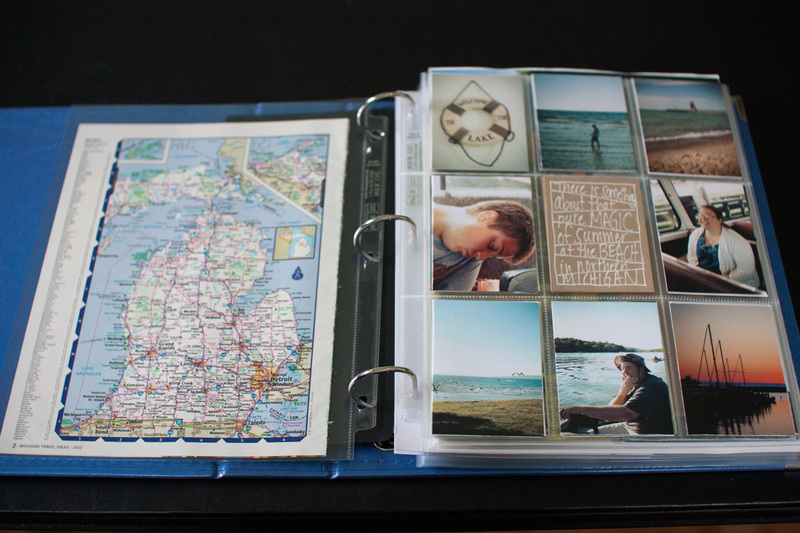 Find Your Perfect Fit – Vacations can be incorporated into your ongoing scrapbooks or documented with a separate project. You get to choose which works best for you right now. 3. Know Your Priorities – Starting a new project might mean that another project is put on hold or stopped. Make sure to consider how scrapbooking your vacation fits into your overall plans. The best approach for your project fills you will creative excitement and fits your needs in this season of life. The large range of options today means that finding a fun and practical project is nearly certain. Layouts are of course the traditional format in scrapbooking. A vacation can be documented with a single layout, an entire album, or something in between. 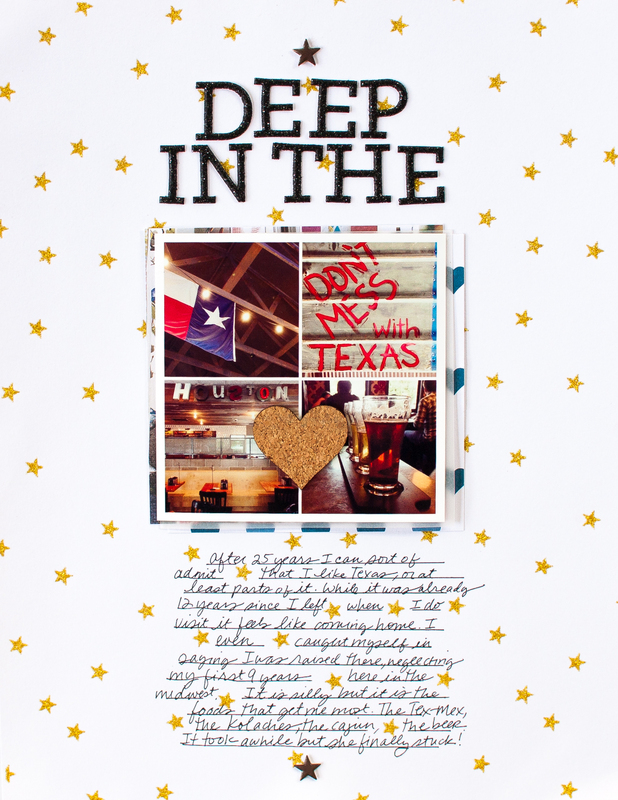 Read more about this page at Deep in the Heart | Simple Scrapbook Layout. Pocket pages, including Project Life products, offer an alternative to layouts that can be quicker to design. From a special insert to an entire album of pages, the pocket format also offers a natural solution for memorabilia-rich projects. 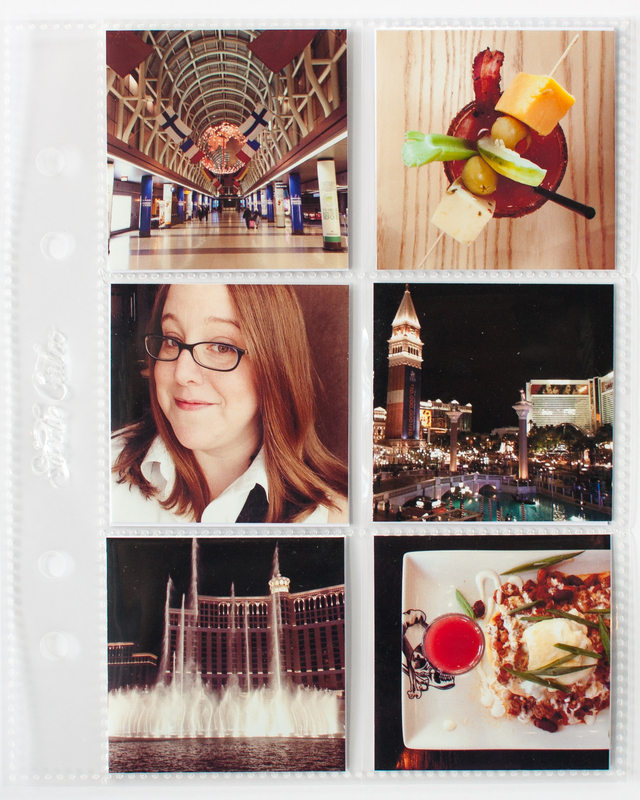 Read more about this page at What Happens in Vegas | Simple Scrapbook Layout. 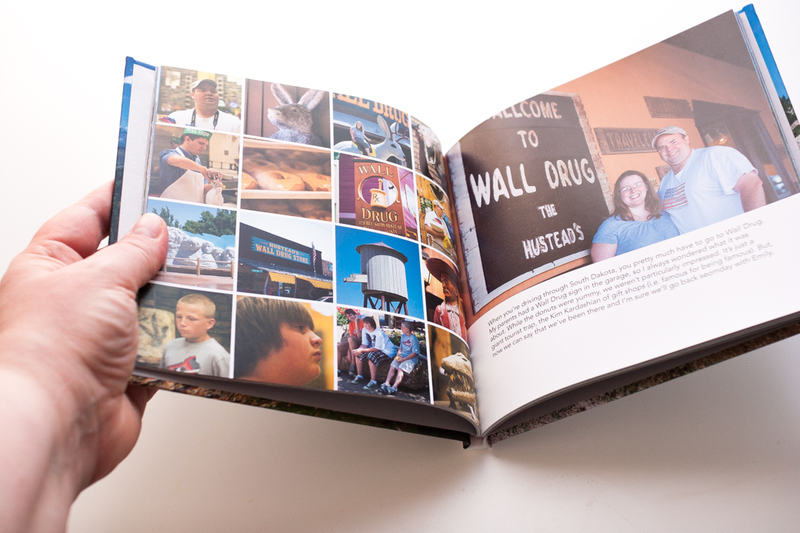 Photo books make an excellent choice for photo-intensive projects by further simplifying the creative experience. They make it easier to include more photos on a single page and the repetition can add substantial ease to the process. Get step-by-step instructions for this photo book inside of The Finishing Project, one of the classes exclusively available with Simple Scrapper membership. Independent of the chosen format, an ongoing album for your vacations (or a specific type of vacation) is worth considering. It creates an opportunity to deeply explore a style or format beyond your typical routine. Smaller mini albums are a portable solution that’s perfect for scrapbooking during a trip or vacation, or back at home if that’s your preference. The more petite size means it’s also easier to finish. Watch a video about this project at In My Office | Vacation Album. Photo collages and even individual photos on social media are just as much “memory keeping” as any other format. A photo collage can sometimes capture an adventure in just the right way. 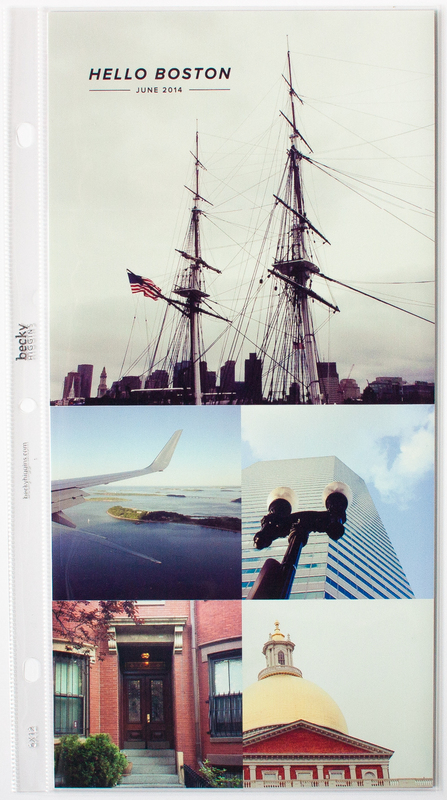 Read more about this page at Our Boston Adventure in Photos | Simple Scrapbook Layout. 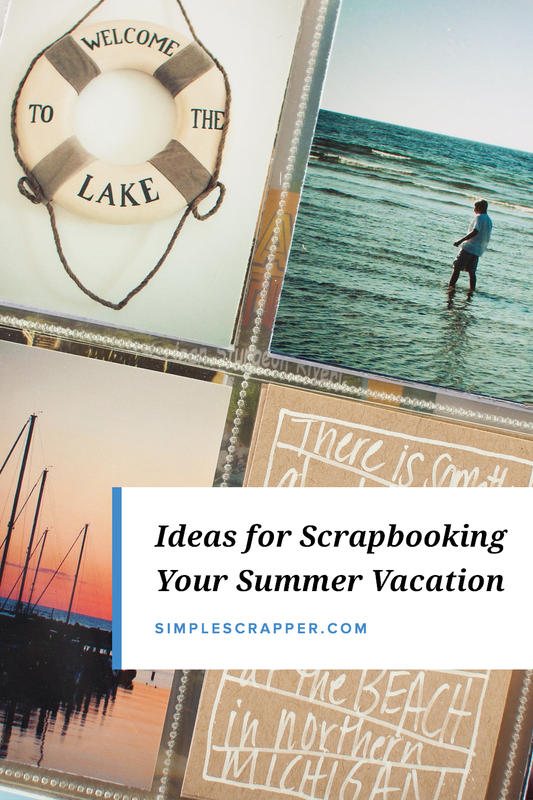 This week’s episode of Simple Scrapper Live continued the conversation about vacation scrapbooking, focusing on how to stay in the creative zone while away from home. 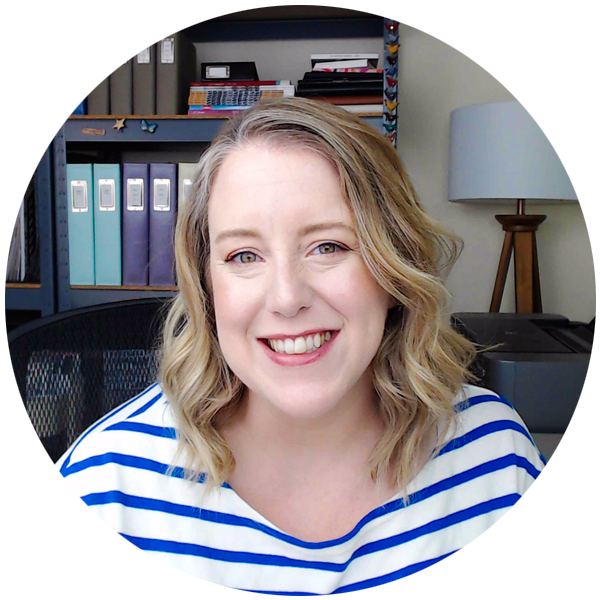 In the recording I share my tips for what to do before, during, and after your trip to streamline the scrapbooking process. 1. What to Focus On – It’s helpful to have a sense of your creative direction (even if it’s quite minimal) in advance of a trip. Above all though, I recommend intentionally staying in the present moment in order to best absorb details and begin to mentally identify the themes of this journey. We all sometimes need the reminder to stay part of the story instead of just a witness to it. 2. Which Supplies to Bring – The items you bring along on a trip will vary by your mode of travel and how much you intent to create while away from home. Think through each idea that sounds fun and test it for practicality. I often lean towards packing lighter to make a trip easier, relying on technology and minimalist supplies while I’m away. 3. How to Get Ready – Thinking through, planning out, and setting aside time for a project will make it easier for you to finish, but there’s one critical first step: photo management. The quantity of photos taken on a vacation is what governs the complexity and challenges of scrapbooking them. Thus, the most important step in the creative process is importing your photos and beginning to sort them. Scrapbooking your trips and vacations doesn’t have to feel overwhelming when you choose the best project approach for your needs and make a conscious effort to focus on what matters most. 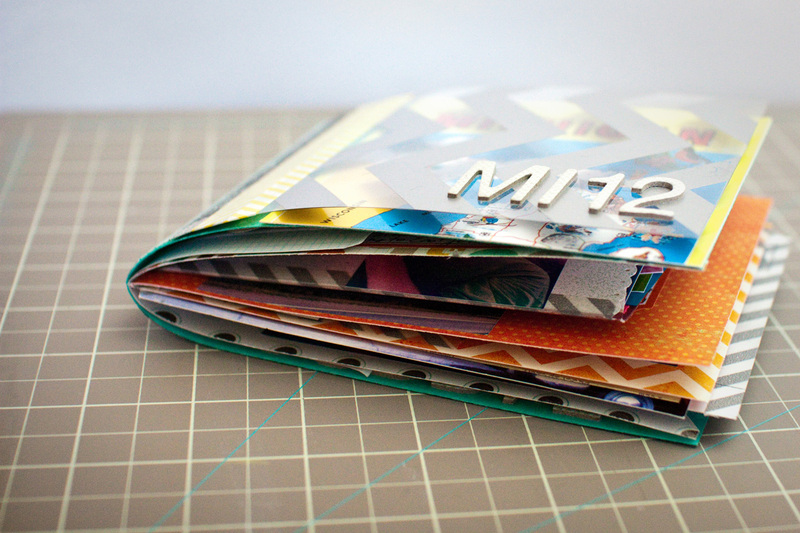 How have you scrapbooked a big adventure? Share your favorite approaches in the comments. That was great – thanks Jennifer! I love the idea of the ongoing album. We go skiing every year in Utah and now I am planning on making an album for that. Doing a page or two for each year definitely removes some of the overwhelm for the backlog of trips! My daughter and I are leaving on Sunday for a 10 day trip to London to visit family. I am bringing some project life supplies with me as I’ll be doing a 6×8 album for that trip. Your posts and videos have been super helpful! Thanks for the tips on scrapbooking on the go. I’m curious if you have ever done a strict Project Life App or digital scrapbook of a trip? I have done Shutterfly photobooks for our family trips just so I can get them done. Now that I’m a Project Life App lover, I’m going to switch approaches and use the app instead of Shutterfly. The app is so much easier and achieves much of the same results I’m looking for. We have an upcoming vacation and I’m gearing up for it and can’t wait to get down the memories! I haven’t finished the project, but I did scrap a lot of a trip last year while on the road. I found it fun to create in the moment and get journaling input from my family. I just wish I had pushed through to finish while on the drive home. My biggest problem was glare from the sun, so I kept putting a blanket over my head! You can go to gravatar.com to swap out your photo!